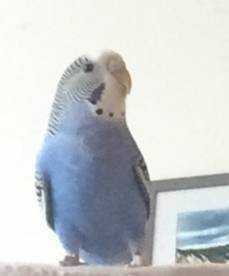 Simba is a 2 year old budgie/parakeet. He is blue coloured with white and blue head. He is used perching on the shoulder. He doesn’t like to touched. He is friendly.